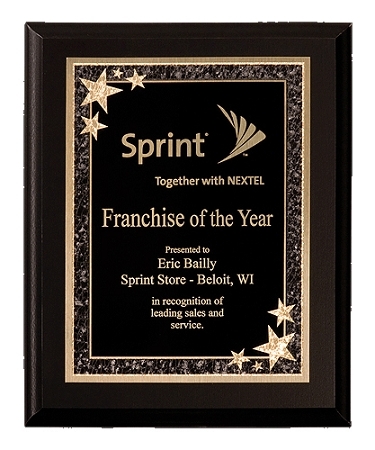 Matte Black Finish Plaque with Black Starburst Plate. Price includes initial set up and text engraving. Add $5.00 for logo or graphic engraving.